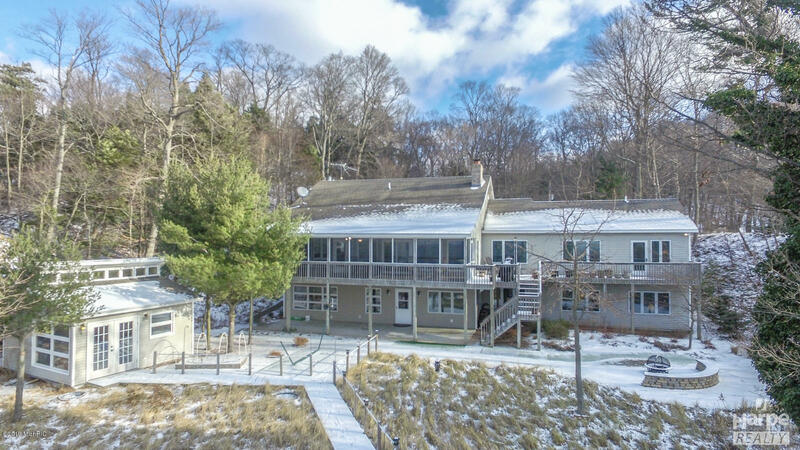 150' of private frontage on Lake Michigan in Grand Haven. This home has 7 bedrooms and 4.5 baths with approx with 4, 900 sq ft. on 7 acres. The home was expanded and remodeled in 2000. If you're looking for a Lake home with lots of room to entertain friends and family this is it. The property is immediately south of Rosy Mound Natural Area offering plenty of privacy and a nice wooded setting. The home features lake views from every room. The kitchen has Wolf and Sub Zero appliances and opens up to a large living room and family room.